Satisfying meals are great, but let’s face facts. Sometimes you just need to have dessert. This can be problematical for people avoiding sugars and carbohydrates, but like most things, there are some ways to have your dessert and eat it too. One such way is cream cheese mousse. It’s simple, sweet and rich, and can be eaten as-is or used as part of several different desserts. It also keeps for a while in the refrigerator, so you can keep some handy to stave off cravings for less healthy options. Note: this is not a low-calorie treat, only a low-carb one. 8 oz Cream cheese, not reduced-fat or fat-free. Let the cream cheese reach room temperature, then cream the cheese, Splenda, and vanilla until they are smooth. I use an electric mixer, because stirring it by hand just doesn’t get the same smoothness. 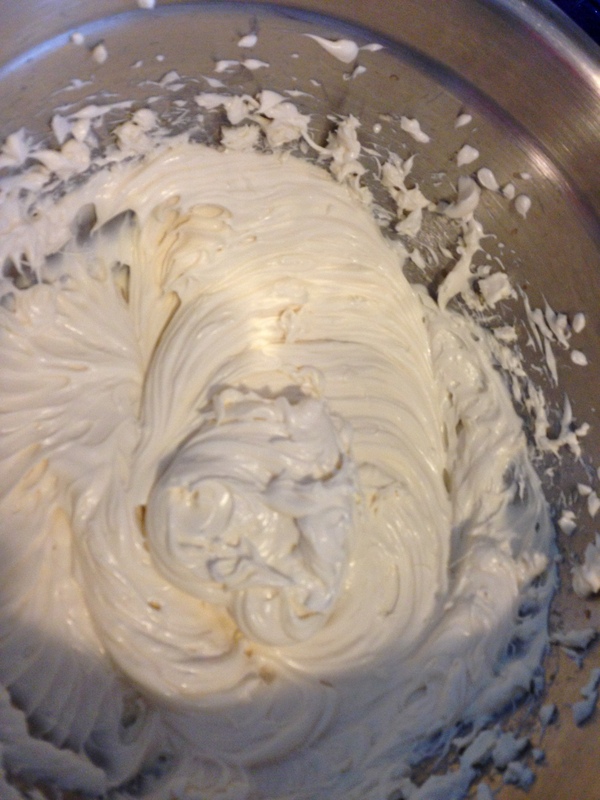 In a separate bowl, whip the heavy cream until it forms stiff peaks. 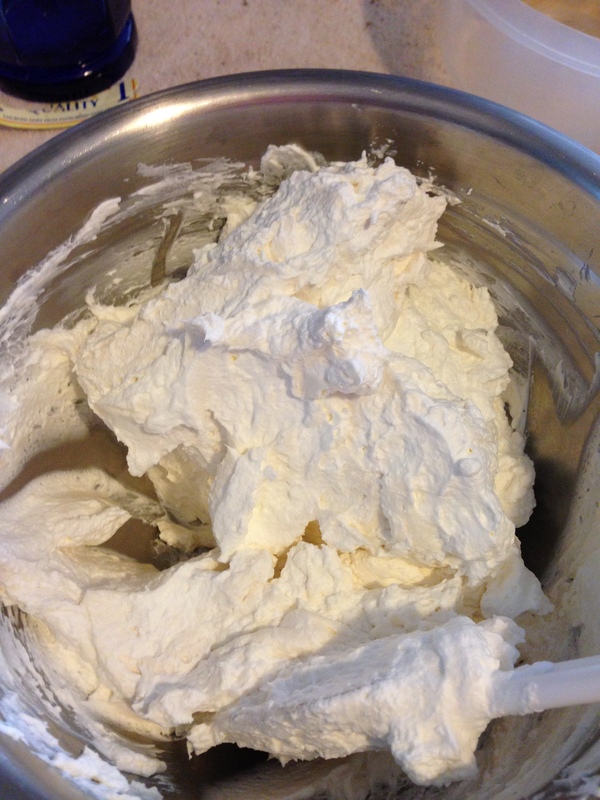 Fold half of the whipped cream into the cream cheese mixture, and combine them gently. Then do the same with the remaining whipped cream. That’s all there is to it. Chilling before serving is recommended for the best texture. There are about 270 calories per 1/2 cup. Experimentation with different flavors is encouraged. I like it with almond extract, but the flavors you try are only limited to your willingness to experiment. Sugar-free syrups can provide a huge variety of flavor options, and orange or lemon zest can also be used. Cocoa powder will get you chocolate mousse, but there is a little bit of caffeine and carbs in cocoa powder, so you’ll have to see if your body is ok with that. I like to put a few spoonfuls on top of a sugar-free jello cup as a super easy and quick dessert. It’s also good as a frosting or topping on low carb pastries and cakes, or as a filling for flourless crepes.